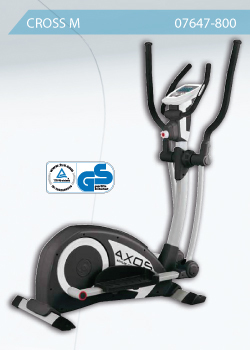 Kettler is proud to present the distinguished quality AXOS Line of fitness equipment. 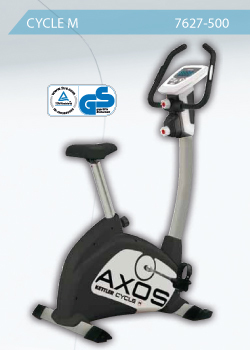 Great value for money, AXOS Line features exercise bicycles, crosstrainers and treadmills. Whether you do cardiovascular exercise, burn calories, strengthen muscles and joints or simply just enjoy a good “sweat”, Kettler AXOS Line will make your exercise fun and effectual. The underlying foundation and technological mastery of every piece of Kettler fitness equipment is astute calibration. It’s about maintaining optimal standards. Precision and discernment encapsulates 5 vital elements which are namely performance, function, design, aesthetics and quality. Kettler’s production process is backed by decades of profound expertise and AXOS Line home use equipment would be great for you. Join millions of satisfied Kettler products owners. AXOS Exercise Bicycles are wonderful for working lower body muscles and joints from the foot, calf, thighs, hips and buttocks while in the comforts of your living room. It has 8 levels of strain /resistance and comes equipped with a magnetic braking system. The training computer is state-of-the-art. AXOS Crosstrainers offer full body workouts and are ideal for working lower and upper body. Construction is solid with a 12kg flywheel and an additional holding. Strain/resistance is dependent on rpm. These have magnetic braking systems and feature pendulum bearings at the disk-joints. The training computer has fantastic function options as found in the best crosstrainers. 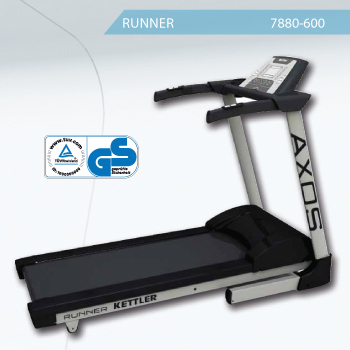 AXOS Treadmills offer indoor walking, jogging or running plus adjustable inclines. Speed options are 1-16kph with 4 speed and incline selections; and equipped with a belt-stop safety key. The training computer boasts LCD displays offering 6 functions with pulse rate measurement via hand sensors; while the keypads are sweat-resistant. Maximum load is 120kg. All these equipment are well crafted to have low impact on your joints. Enjoy good workouts with Kettler AXOS and lead a healthy life.